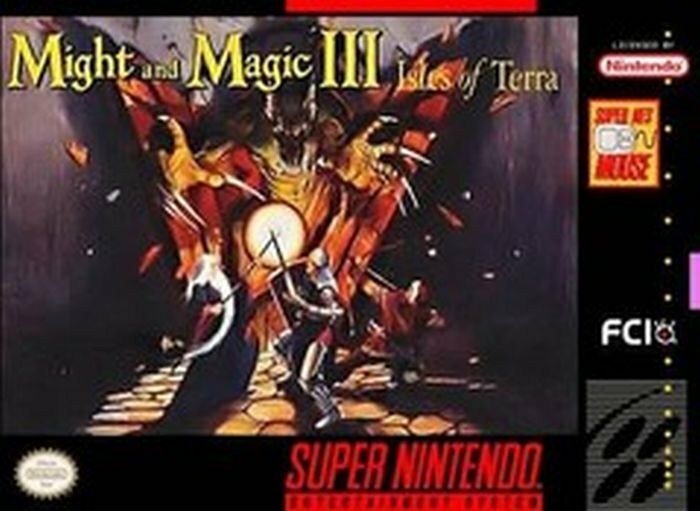 Might & Magic 3: Isles of Terra for Super Nintendo has you lead a band of adventurers through a new world filled monsters and magic. You will have to work your way around a variety of obstacles. If you remain a strong and trustworthy leader, evil does not stand a chance. You'll experience amazing sound effects, music, and voice as you travel through a world filled with amazing sights. If you get into some trouble, pop-up maps and animated warning signals will provide a variety of hints.